SCORE cards will be delivered on the digital performance of 70 Southern Queensland Country tourism operators including some from the South Burnett in a bid to boost business and growth opportunities. Southern Queensland Country Tourism chief executive officer Mary-Clare Power said the report cards follow free “digital health checks” carried out last year. “The findings of the digital health check reveal that collectively we are doing some things really well and there are some areas where we need to improve,” Ms Power said. The digital audits provided a snapshot of the region’s digital footprint and assessed online performance across five categories including websites, good and social media. “Providing the score cards today enables our partners to start the new year with a really clear idea of where they need to invest extra work and where new opportunities lie,” Ms Power said. Digital firm Digital Coaching International conducted the digital health checks. 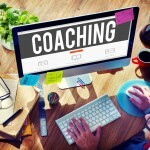 Digital Coaching International chief executive officer Liz Ward said no business should expect to score 100 per cent in every category. “Accommodation operators were the stand out performers overall and the average score for websites was above average,” Ms Ward said. Instagram was the biggest area for improvement Ms Ward said. “That’s a really big missed opportunity for people in the hospitality industry,” Ms Ward said. 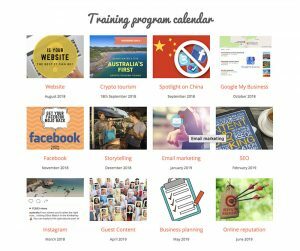 Now 10 of the SQCT partners will have the chance to win a series of one on one digital mentoring sessions with Digital Coaching International after additional funding from the State Government and tourism council. “Once operators get their individual findings today, we are asking them to write to us with an expression of interest on what they would get out of six one-on-one digital mentoring sessions,”’ Ms Ward said. These expressions of interest will help decide the 10 winning operators.